This is my friend Tammy. She is a total nut and I love her dearly. I recently knit her a pair of socks. You can see them on her hands here. The reason I chose to make rainbow socks was because Tammy reminds me of a rainbow: bright, beautiful, positive, and something I am always glad to see. I think she likes them. 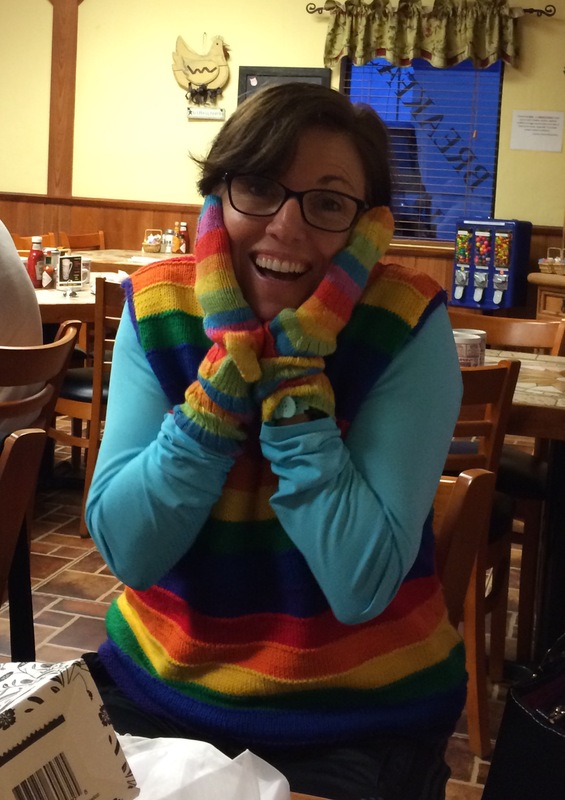 She was also presented with a matching rainbow sweater vest from our friends Ingrid and Tara.